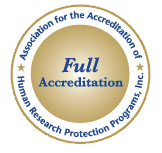 The Ohio State University Human Research Protection Quality Improvement (QI) Program was established to promote and maintain ethical research conduct. The primary mission of the QI Program is to evaluate and improve human research protections through education, training, and monitoring. Quality Improvement staff work with investigators, research staff, and the IRBs to ensure research is compliant with regulations, guidance, institutional policies, and best practices for human research protections. Consultation to investigators and study personnel. Contact us with questions, to request consultation or assistance with preparing for an audit, or to set up a review. Frequently asked questions regarding the QI Program are available here.